Alternative Armies: 56520 Joccian Light Infantry released this May Day Weekend! 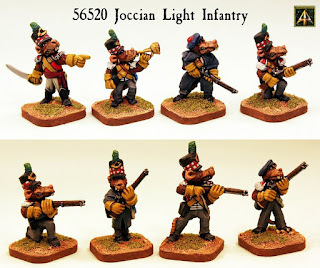 56520 Joccian Light Infantry released this May Day Weekend! Now released our big new code for the May Day Weekend the skirmishers for the Ratmen of Joccia! 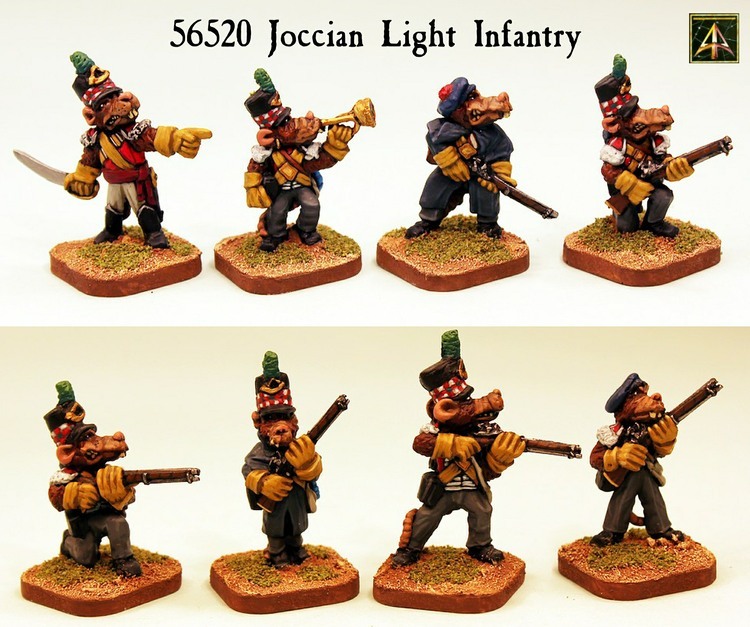 Replacing the original 56520 miniatures are eight new poses of light infantry sculpted by Elton Waters and lovely they are too. A Flintloque unit of twelve or single poses. 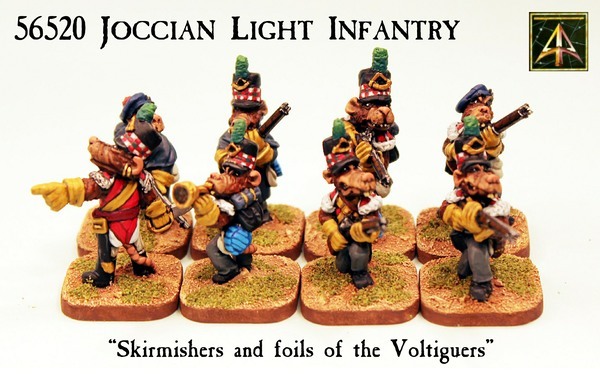 Plus they are now in the Joccian divisional army pack for Slaughterloo too. Go HERE or read on for more information. 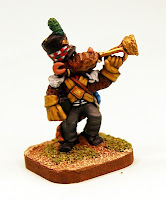 The Army of Greate Britorcn is made up of several partner countries such as The Orcs of Albion, the Bog Orcs of Guinalea, the Hob Goblins of Taffsea and the Ogres of conquered Hunvaria but it is from Joccia the land of the Ratmen that some of the hardest fighting regiments hail. 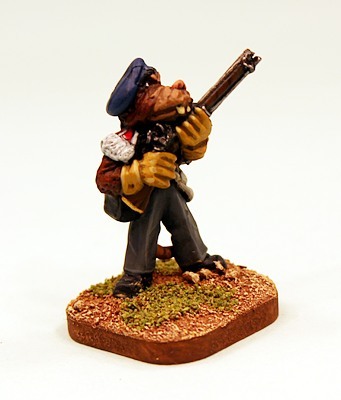 The warren like stone cities of Glasgee and Edinborge as well as Dungdee and Hayr offer up Lowland Rats who unlike their bigger cousins from Strathcarnage are more numerous and much more comfortable with fireloques in the aftermath of the 45' Rebellion. 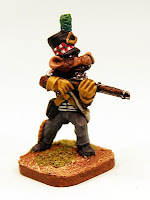 This code contains eight different white metal 28mm scale poses of Ratman in light infantry uniforms of the Britorcn Army. These are an officer sword in hand pointing the attack, a musician with bugle, sergeant in greatcoat and tam o shanter and kneeling trooper with musket raised. Trooper poses are kneeling with musket level, with musket advancing in greatcoat, firing musket while stepping forward and musket raised wearing tam o shanter. Very characterful miniatures ideal for skirmishing and supplied in your choice of a unit of twelve (one of each pose plus four additional random and different troopers) or single miniature if you wish to increase your force. 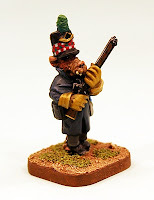 Supplied with our resin cartouche bases. You can also choose to purchase these miniatures painted and based for immediate use. Go HERE. Price 24.00GBP per unit. 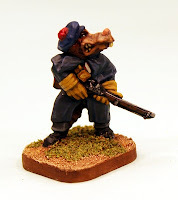 The Ratmen of Joccia feature in 5025 Flintloque 3rd Edition War in Catalucia as well as the account and statistics for these skirmishers. 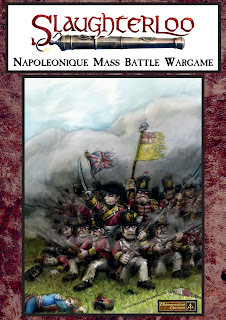 If you wish to play mass battle then look no further than the big brother of Flintloque and that is 5030 Slaughterloo. 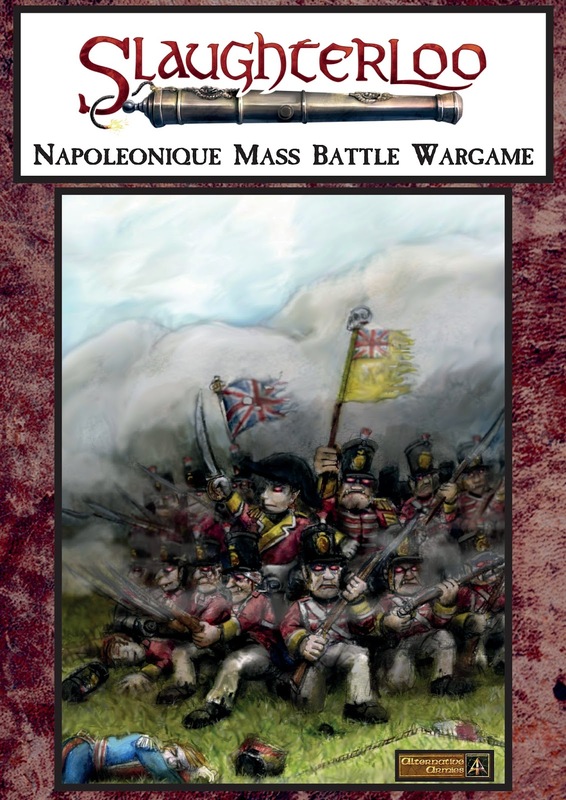 Field entire divisions of infantry, cavalry and artillery led by a general and over that a commander in chief with an easy to learn and tactically satisfying game system. It uses the same miniatures and we supply a range of excellent value (saving around 18% off regular prices) of Slaughterloo Divisional Army Packs (DAP) each of which gives you a whole force including bases which also doubles as a dozen of more Flintloque sections too. 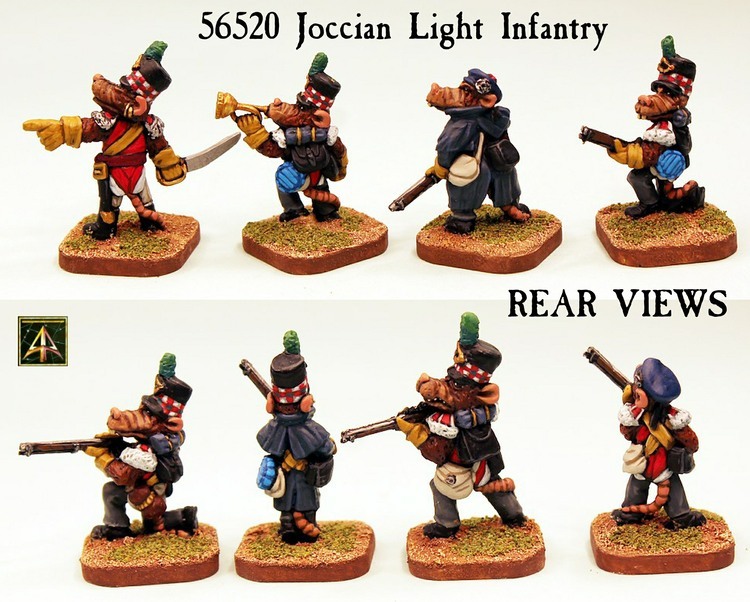 Go HERE for the book in print and as a digital download plus the new Light Infantry feature in 56500 Joccian Rat Division as well. Have a read and a look. 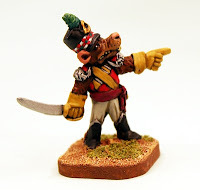 The miniatures shown in the pictures here were painted by the talented Mark Taylor who fields a very impressive Greate Britorcn and Ferach Empire armies. Our thanks to him for his wonderful efforts. As we said at the top of this article these are new sculpts in the 56520 code. 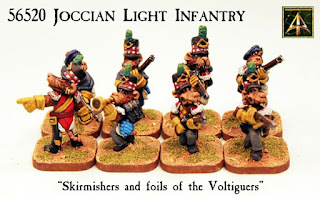 They replace those of the turn of the millennium and have greater diversity and now an original commander and musician rather than those taken before from 56503 Glasgee Lowlander line infantry. We hope that you like them and that they fit well into your forces. 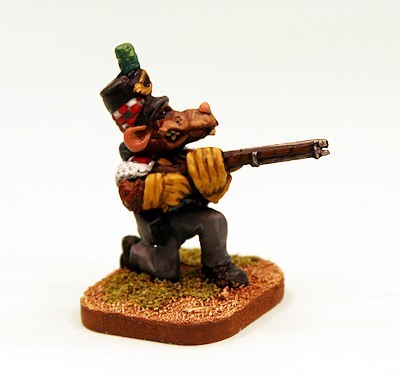 Next Week we will have a free article for you about these new miniatures. 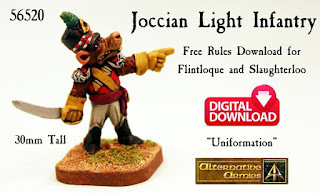 A Uniformation article giving you all you need to field these Joccian skirmishers in your games of Flintloque and Slaughterloo. It will be hosted on our website. In the meantime check out our Free Downloads page for a lot to read. Enjoy the May holiday weekend and thank you for your time!